In the mid-1980s a fingerling potato unknown to the outside world was recognized to be a staple of the diet of Pacific Coast Native Americans of the Makah Nation, who live in the region around Neah Bay, Washington. David Ronniger, a potato aficionado and seed grower from Idaho, went to Neah Bay and noticed this peculiar potato in the garden of Anna Cheeka and labeled it such in his early seed catalogues. Soon it was renamed the Ozette Potato by the Makah people referencing their ancestral village site on Lake Ozette. Tribal lore reported that this potato had been used by the people for about 200 years. All potatoes originated in South America. Until recently, it was thought that all potatoes now in the Americas were first taken to Europe by Spaniards before arriving in North America with European colonization. However, in 2004 phylogenetic analysis conducted at Washington State University provided evidence that the Makah Ozette potato (Solanum Tuberosum Group Tuberosum) was certain to have been imported directly from South America. After their conquests in South America, the Spanish began a mission to further establish their empire on the western shores of North America. In the spring of 1791 they established a fort at Neah Bay and as was the custom, a garden was planted that surely included potatoes they brought directly from South America via Mexico. Over the winter, the Spanish found the weather conditions in the harbor too severe to maintain their ships and they abandoned the fort. The Makah people, who were in need of a carbohydrate source, likely found remnants of this rather weedy plant left in the garden of the abandoned fort. They quickly adopted the potato and became its stewards, growing it in their backyard gardens. Until the late 1980s this potato was not grown outside the Makah Nation. In 2004 the potato was brought to Slow Food’s attention. It truly demonstrated every characteristic of an Ark of Taste product. Research led to a regional DOA/WSU scientist who had specific interest in the potato. He had been supplying rooted cuttings to the elders in Neah Bay for many years, but the folks in the village had only ever cultivated them for personal consumption. 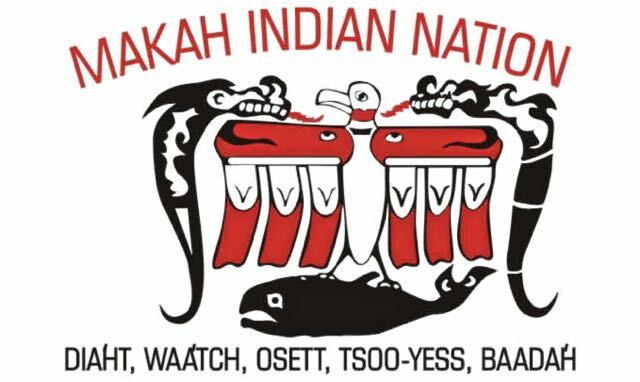 Because the Makah Tribe had been the stewards of the potato for well over 200 years, it was most important and appropriate that they be informed and asked to authorize Slow Food Seattle’s intent to nominate it to the Ark and possibly pursue Presidium status. Gerry Warren, founder of the Slow Food Seattle chapter, arranged to present the concept to the Tribal elders, and he and a colleague were invited to lunch. The twelve people in the audience paid close attention to the presentation, but they remained stone faced, which was a little disconcerting to our presenters. At the conclusion of the presentation, a request for questions drew silence until an elder gentleman at the left side of the front row raised his hand and asked, “Can we put our mark on it?” Thus the name, Makah Ozette Potato, was created. Later, the enhancement was validated in the scientific community. The Makah Ozette potato (MOP) was boarded to the Ark of Taste catalog in September 2005, and a presidium application was submitted in November 2006. Slow Food Seattle worked in partnership with the Makah Nation, Full Circle Farm, Pure Potato, the USDA Agricultural Research Station in Prosser, WA, and the Seattle chapter of the Chefs Collaborative. In the early development of this project, Slow Food Seattle developed a plan and used a portion of its treasury to purchase five hundred pounds of certified seed potato. One hundred pounds of the seed was sold to home gardeners and 400 pounds were sold to farmers interested in growing the crop. In the fall of 2006, the growers sold the first crop to the fresh market in the greater Seattle area. Slow Food Seattle received enough potatoes to sell to cover the cost of their initial investment and to mount a public relations campaign that produced considerable press and demand for the Makah Ozette. In addition, nine chefs featured the potato on their fall menus. In the spring of 2007, the primary seed grower had a crop failure and seed was limited. This prompted Slow Food Seattle to call upon Pure Potato, a laboratory that worked to certify the potato as virus free. That year many small farms also did a limited planting of the MOP. In the fall, Slow Food Seattle again mounted a campaign to further regional awareness of the potato and featured it as a menu item at the American Heritage Picnic in Seattle. In 2008 the Makah Ozette Potato officially became a presidia project, and due to the collaborative effort, the potato seed was in high demand. A highlight of 2009 was when Essential Baking Company contracted with Full Circle Farm and began making their seasonal potato bread using the Makah Ozette Potato. The management of EBC declared this to be the most flavorful potato bread they had ever produced. Unfortunately, 2010 was a disaster year for the MOP. Flooding destroyed the entire crop of seed at Pure Potato and Full Circle Farm. This was a severe setback for the Presidium as it would take three years to regenerate the seed stock back to the 2009 levels. In 2018 we lost our terrific seed producer when Marlis Bedlington and her husband retired and the Pure Potato’s seed lab, a subsidiary of Bedlington Farms, closed. Marlis directed the lab, and without her expertise, the family could not support its continued operation. Irish Eyes Garden Seeds in Ellensburg, Washington is our new presidium producer for the MOP. Irish Eyes is a small, family-owned business which takes pride in growing, harvesting, and distributing organic, non-GMO seeds to companies and the public. They farm about 275 certified organic acres to produce as much seed as within the climatic limitation, and the rest of their seed is contracted out to a group of small growers in the western states. In the event of crop failure and shortages, they buy from several different small American seed companies. Irish Eyes is dedicated to promoting lifelong sustainable farming practices and have signed the Safe Seed Pledge. Growing culturally relevant crops has gained traction in recent years, and the Makah Ozette potato with its compelling history is at the top of the list. Last month, Keith Nevison from the Thomas Jefferson Foundation in Monticello requested more information about the beloved potato. Keith, manager of the foundation’s Farm and Nursery Operations, is creating a showcase farm focused on promoting soil regenerative practices and connecting guests to stories of American agriculture. As a historical site, the foundation is dedicated to telling the stories around food crops and food way traditions. The foundation would like to trial the Makah Ozette potato at their Tufton Farm, and Slow Food Seattle, led by Gerry Warren, our steadfast presidium coordinator, has donated 15 pounds of seed to their effort. Due to the Presidium’s promotional efforts, the Makah Ozette potato seed is still in high demand. Our goal is to continue increasing regional seed production and the number of small commercial growers who will become Presidium members. We will also continue promotional activities that will bring this potato to many tables. The Makah Ozette potato has firm flesh, creamy texture and a unique nutty, earthy flavor that is appreciated by home cooks as well as chefs. Click here for more recipes. In this recipe by Sunset Magaine, the bacon cream melts to give the potatoes a rich, salty glaze. The apple cider vinegar and mustard cut the richness of the kettle chips; the chips add an unexpected texture; and the sour cream brings the whole dish together. Hazelnut oil highlights the nutty flavor of the Makah Ozette Potato in this fabulous dish by Tilth Restaurant chef/owner, Maria Hines.